OTTAWA — Iranian-Canadian professor Homa Hoodfar has been released from an Iranian prison where she had been languishing since June. Hoodfar, a retired sociology and anthropology professor from Montreal's Concordia University, was charged with "dabbling in feminism" and sent to Tehran's notorious Evin prison. A court found Hoodfar guilty, imposed a sentence of several years, and ordered her to be deported, a source told The Huffington Post Canada. 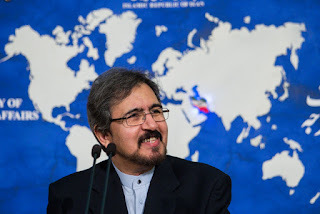 An Iranian foreign ministry spokesman said Hoodfar, 65, had been released on "humanitarian reasons, including illness." She landed on Monday in Oman, a country that had helped secure her release. She was to be greeted by Canada's ambassador to Saudi Arabia and undergo a medical exam before boarding another flight to London where she is expected to meet family members. In a statement, Prime Minister Justin Trudeau said Canadians are relieved that Hoodfar was released from jail and would soon be reunited with her family, friends and colleagues. "The Government of Canada has been actively and constructively engaged at the highest levels in Dr. Hoodfar's case — since her ordeal began — working for her release and return to Canada," he said. "In the absence of diplomatic representation of its own in Iran, Canada worked closely with others who were instrumental in helping secure Dr. Hoodfar's release — most notably Oman, Italy and Switzerland. I would like to extend our sincerest appreciation for their support. 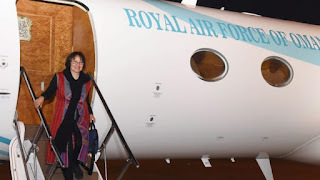 A quiet meeting just off the main floor of the United Nations General Assembly a week ago may have been the turning point in Canada's attempts to secure the release of Iranian-Canadian Homa Hoodfar from a prison in Iran. It happened in the corner of a large meeting room just after U.S. President Barack Obama finished his final speech to the UN. Prime Minister Justin Trudeau, his top political staff and foreign policy advisers held a private "pull aside" meeting with the foreign minister of Oman and a small delegation of Omani officials. The prime minister had reached out to Yusuf bin Alawi bin Abdullah 11 days earlier on Sept. 9 by phone to ask for Oman's help in securing Hoodfar's release from Iran. But this was their first face-to-face meeting, and it appears to have played a critical role in securing the Concordia professor's release. 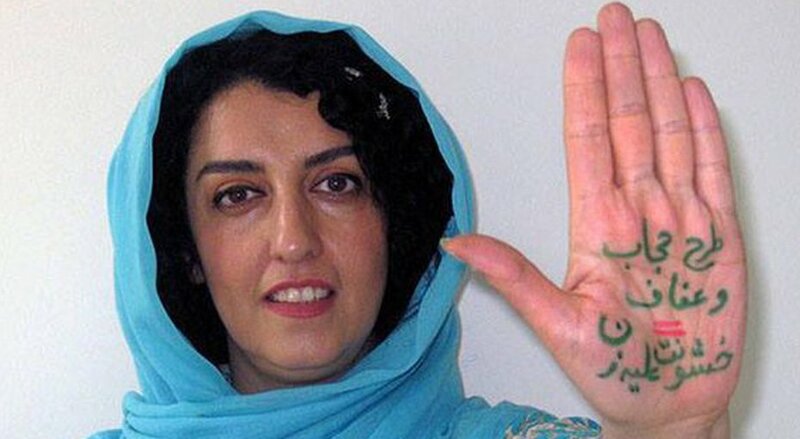 According to news coming from Iran , the appeal court division 36 in Tehran approved the 16 years imprisonment for Ms. Narges Mohammadi the vice president of the Association of Human Rights Defenders in Iran. Barges Mohammadi is a mother of two beautiful children and is suffering from illness. The lawyers of Ms Mohammadi have protested against the court and judges decision. IRAN WATCH CANADA: Usually in appeal court another judge must preside , but it seems the decision by the judiciary judge Salavati was pre-arranged. 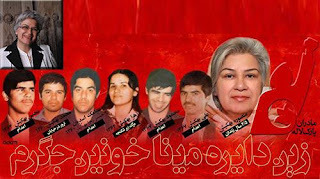 As you know, on June 5, 2013, The House of Commons of Canada passed a unanimous Motion, proclaiming the mass murder of political prisoners of Iran during the summer of 1988 as crimes against humanity. The Motion honoured the memory of the victims buried in the mass graves at Khavaran Cemetery and other locations in Iran by establishing September 1st as a Day of Solidarity with Political Prisoners in Iran. According to news from ISNA todays evening Iranian time, Bahram Ghasemi the spokesperson from the Iran ministry of Foreign affairs announced that , Homa Hoodfar is released from prison on humanitarian ground. Mr. Ghasemi said: Ms. Homa Hoodfar the retired professor of the Canadian universities who was accused of some charges is released based on humanitarian ground including sickness. 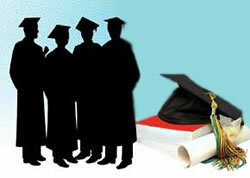 According to report , 47 Bahai students who are at the stage of entering to the university to continue their education this year , were disqualified by the regime authorities . The names of these students are released . 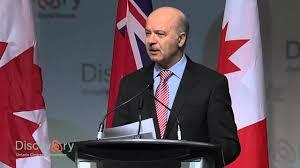 Regime carries a biased and discriminatory policy towards Bahai faith students and their families . The Bahi students not only deprived from continuing their education but also deprived or jobs in Governmental institutions. The Campaign known as " not hurting and imprisoning the Bahai's " have prepared the list of 47 students who were disqualified by regime cultural revolutionary council . According to report by HRANA , the biggest women prison in Iran yet to known as " Gharechak women prison" or in other name as " Women Kahrizak " . Kahrizak prison became known after the 2009 green movement uprising in Iran ,where no one knows exactly how many young protester were killed . Earlier report said , Said Mortazavi the infamous judge was in charge of the prison. This prison is located about 17 km - between Tehran and the city of Varmin high way in a place known as Gharechak . The place has salty water and low hygiene and dangerous disease . According to this report , this prison facility accommodate about 2000 women and their children. 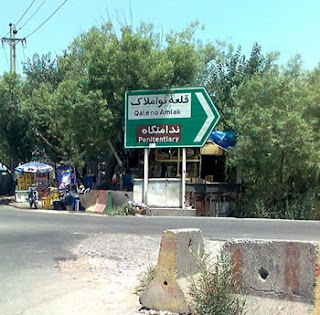 Gharechak prison has 6 ward and every ward accommodate about 200 to 300 women prisoners and the prisoners aren't divided based on the crime they have committed. This prison facility lack all kinds of healthy environment from populated facility to water, food , showers and proper medical facilities that the women are more vulnerable to disease including their children. 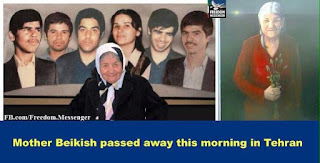 According to news coming from Iran, Mansoureh Bahkish sister of six political prisoners who were all killed in a mass killing by Islamic regime in 1988 was leaving Iran on Sept. 17 , 2016 to visit her daughter in Ireland when the agents at the gate told her she is banned to leave Iran and they took her passport and told her to follow the case through prosecutors office at Evin Prison .
" On Friday September 17 i was traveling to Ireland . A journey which supposed to bring me joy and peace , particularly after the death of my dear mother, i have had difficult period and still not normal due to her absence. I wanted to be away from all the tensions and pressures of Iran and have three months quiet time with my daughter in Dublin . of course she is a professor and we couldn't be together during the day time , but i had plan to walk in parks and see the sceneries and to make connection with people , to strengthen my English and to have peace of mind . I also had plan to attend at the library of the universities and to become familiar with their cultural environment , and at the evening when my daughter's work is finished, we will have happy and joyful time together and to strengthen energy. But unfortunately they did not let this to happen and therefore deprived us from our basic human rights ,the right to meet /meet each other. " " The security agents of the regime at the airport , like the year 2009 when i was traveling to Italy to visit my other daughter , at first put the exit stamp in my passport to make me quiet, but later banned me from leaving Iran to Italy and forced me to return home from the airport. But in both two instances my name was paged for several times and echoed in the airport. the agents then found me at the flight gate and took my passport and asked me to go with them to an office and at the office, they gave me a letter and told me to follow up the passport from the prosecutors office at Evin prison. i asked them , why , on what basis / reason ??!! they replied : we are just an agents and don't know nothing????!!!! And then i screamed and let them and people at the airport know about all the cruelty the regime have done on us...Passengers at the airport who were listening and looking at me, approached me and showed solidarity with me , and when the agents saw the situation , in order to make me quiet, the played a national song of " Ey Iran " from the loudspeakers .
" As simple as this , they destroyed my traveling plan , and by taking my passport and giving me a letter for follow up at Evin prosecutors office . She added :" I will send The gifts that i have bought for my daughter by post ......I have my suitcase ready at my home if they take me to Evin prison ......They can't make us the " family's for Justice " quiet . Regime must know that the patience of the people is limited and one day the wave of the protest and call for justice will flow again , and that time it will be too late for the regime. " News coming from Iran indicate that, Sadra Mohaghegh the Iranian journalist is arrested today Monday at his home . According to Iran Wire website, his arrest after Yashar Soltani another Iranian journalist who is arrested last week is about their report on land / property transfer and selling by Tehran City hall . Sadra Mohaghegh is a well known journalist who's reports covers the social issues including destruction of historical buildings and illegal constructions in the city of Tehran. He has written extensive critical articles about these issues. 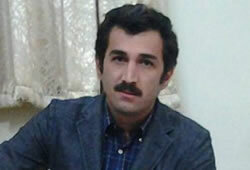 Sadra Mohaghegh is the chief editor of the social service section in Shargh newspaper. According to report by Mehr newspaper, " S - M " was acting as an informant for counter revolutionary newspaper and is arrested by security agents in an intelligence undercover operation. According to report by Mehr newspaper , Sadra Mohaghegh was preparing information for counter revolutionary newspaper. 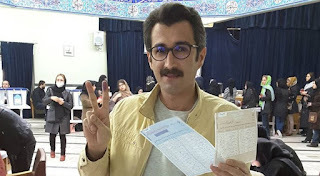 Since last year regime's security agents mostly Sepah intelligence has started arresting Iranian journalists under the false accusation of " acting as informant for counter revolutionary newspaper outside of Iran" . The journalists arrested on this new round of allegations are : Eisa Saharkheiz , Ehsan Mazanderani, Afarin Cheitsaz, Saman Safarzaei and dawned Asadi. 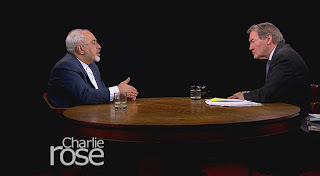 Mohammad Javad Zarif the foreign minister of the Hassan Rohani's Government..on April 2015 speaking with PBS -Charlie Rose programme : " We don't jail anyone for their belief...."
I am honoured to address this first session of the Council's second decade. I am told repeatedly by members of Government and Permanent Missions that human rights are being misused as a pretext for interference in the affairs of sovereign nations. It is suggested the struggle against discrimination violates cultural values. Officials have protested that human rights officers observing a public street demonstration are "interfering" in the State's internal affairs. Statements by my Office regarding credible allegations of violations – including excessively broad and violent security sweeps; prosecutions that appear politically motivated; and the massive use of capital punishment for crimes not consistent with the norms laid out by the ICCPR – are deemed "biased", "irresponsible", "misleading" or based on "false" premises. Monitoring activities, and advocacy intended to help better protect the people of your countries, are refuted as somehow violating the principle of State sovereignty – or even the UN Charter. It may be useful to recall the many attempts made by the apartheid régime of South Africa to claim that the General Assembly’s resolutions opposing apartheid constituted a prohibited "intervention" in its domestic jurisdiction. These efforts to shield serious human rights violations from outside scrutiny were conclusively and repeatedly rejected by the General Assembly. Under international law, wrongful "intervention" – as prohibited in Article 2(7) of the UN Charter – is by nature coercive. And it should be obvious that my Office has no coercive power. No activity that we undertake can possibly be considered constitutive of a prohibited "intervention". We seek to strengthen national protection systems, not violate them. We do not threaten invasion, nor do we finance or organize sedition; we request access, in order to establish a neutral clarity about the facts on the ground. 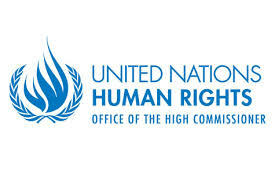 And access only becomes possible when the State extends an invitation to us; it cannot be forced open by OHCHR. Are human rights exclusively a national issue? Governments have the responsibility to uphold their human rights obligations and to respect the standards. But the human rights of all people, in all countries, also require – unquestionably ­– our collective attention. The Vienna Declaration, adopted unanimously 23 years ago, confirmed this: "the promotion and protection of all human rights is a legitimate concern of the international community." This language was also echoed by GA Resolution 48/141, which calls on the High Commissioner to "play an active role in removing current obstacles... to the full realization of all human rights and in preventing the continuation of human rights violations throughout the world". I classify as refusals of access all unreasonable delays, elaborately ritualised and unreasonably prolonged negotiations, and responses to specific requests which seem to seek to fob us off with inadequate alternatives to real, fact-based assessment. Access delayed is access denied: two weeks is surely amply sufficient to secure a decision from all relevant officials. Claims that insecure conditions make it impossible to give my staff access are also less than acceptable. My staff work with great courage in some of the world's most severely threatened communities, and will continue to do so when called upon – or at least, we could be the judge of that. For the past two and a half years, Venezuela has refused even to issue a visa to my Regional Representative. Its comprehensive denial of access to my staff is particularly shocking in the light of our acute concerns regarding allegations of repression of opposition voices and civil society groups; arbitrary arrests; excessive use of force against peaceful protests; the erosion of independence of rule of law institutions; and a dramatic decline in enjoyment of economic and social rights, with increasingly widespread hunger and sharply deteriorating health-care. My Office will continue to follow the situation in the country very closely, and we will state our concerns for the human rights of Venezuela's people at every opportunity. Respect for international human rights norms can create a narrow path upon which the Government and the opposition can both tread, to address and resolve peacefully the country’s current challenges – particularly through meaningful dialogue, respecting the rule of the law and the Constitution. My Office stands ready to assist in addressing the current human rights challenges, and I thank the Secretary-General of the Organisation of American States for recommending that Venezuela work with my Office on a Truth Commission, which could indeed offer the people an important voice. In July I also requested from the government of Mozambique access for an assessment mission to the country, and was hoping for a swift response. Continued armed confrontation between RENAMO and the national army, beginning almost a year ago, has heightened the levels of violence, and we have received reports of mass graves, summary executions, destruction of property, displacement and attacks against civilians. Tensions are exacerbated by economic deterioration across the country, and an increasingly severe humanitarian situation resulting from drought. I trust the Government's response will be received soon. Human rights protection is crucial in the context of protracted conflicts and legally unrecognized or disputed territories, where millions of people live in profound uncertainty. I am deeply concerned over the repeated refusals to permit access for my staff to both Abkhazia and South Ossetia by those in effective control – despite the Secretary-General's emphasis on the importance of that access in the context of the Geneva International Discussions2. We continue to receive allegations of violations, including killings, arbitrary detentions, torture and ill-treatment and restricted freedom of movement. Other serious concerns include unresolved queries regarding missing persons and persistent difficulties regarding access to livelihood, education, property rights and administrative documentation, as well as the need to ensure the space for civil society and independent media. Discussions with China over the past 11 years regarding an official mission by successive High Commissioners have so far failed to produce an actual commitment to move ahead with a visit. Since 2011, our proposals for joint projects and workshops have also not led to action – despite our strong impression we could bring useful support, including on development, environmental and business topics related to human rights. The highly relevant observations made by the Special Rapporteur on extreme poverty, who recently visited the country, provide a good example of the specific and useful recommendations which my staff could further build on. I welcome the recent passage of a national law against domestic violence and some progress regarding the country's high number of executions, and I hope my Office can assist China in this effort. I remain deeply concerned, however, over reports of continued harassment of human rights lawyers, human rights defenders and their family members, as well as allegations of discrimination, torture and ill-treatment, enforced disappearances and deaths in custody of members of ethnic and religious communities. First-hand access would allow my Office to better assess the situation, and to see the remarkable achievements of China, particularly in terms of poverty alleviation. I would like to embark on a genuine working relationship with China in a constructive and committed manner. In 2011, the Government of Nepal chose to close OHCHR's field offices throughout the country, and since then we have encountered great difficulty in engaging on human rights. The Government has explained it has sufficient domestic human rights capacity, and requires no outside assistance. Yet the country continues to face serious and chronic human rights challenges. A decade after the civil war, accountability for gross human rights violations is still not pursued. Nepal remains amongst the poorest of the world’s nations and corruption is high. Despite a huge influx of aid following the earthquake last year, many victims have yet to receive adequate support. There are also severe and long-standing issues of discrimination based on gender, caste, religion and ethnicity, which as the past has demonstrated, could swiftly lead to violence. I regret theDominican Republic's failure to respond to my offer of support and monitoring capacity in regard to forcible movements of people to Haiti. Among them is a sizeable population of people descended from Haitian immigrants who were stripped of Dominican citizenship following the passage of legislation in 2013. My Office remains concerned about the deportations, which officially commenced a year ago, and is keen to ensure that any movements of people fully comply with international legal norms. I am aware the Government has worked closely with concerned UN agencies in the country, including the Human Rights Advisor, and I commend the establishment of mechanisms to redress wrongful or unlawful deportations. However, I must reiterate my request for unhindered access to border crossing points for a specialised team from OHCHR, and I look forward to closer cooperation on this with the authorities. Turning to the United States, I have repeatedly expressed my dismay at the failure of the Government to accept the Special Rapporteur on Torture's request to enter the Guantanamo Bay detention centre and conduct confidential interviews, as is the agreed practice for all the Council’s experts. Guantanamo has long been a space of reported serious violations. The evasive tactics of the US authorities with respect to requests by international human rights mandates are deeply regrettable. The Democratic People's Republic of Korea extended an invitation to me to visit the country, yet has refused to engage on the modalities of the trip or to engage with our Seoul presence. This approach deprives my Office of further understanding the point of view of the DPRK authorities. Our remote monitoring indicates that grave human rights concerns persist throughout the country, including pervasive restrictions on all public freedoms, a vast and brutal prison system, torture, and violations of the right to food and other economic and social rights. I seize this occasion to share with you some broader thoughts regarding States' cooperation – or non-cooperation – with country-specific mandates, including Commissions of Inquiry, Council-mandated fact-finding missions and the specific country mandates of the Special Procedures. Currently, Belarus, Eritrea, the Democratic People's Republic of Korea, theIslamic Republic of Iran and Syria refuse to cooperate in any way with these mechanisms. Israel has had a long record of refusing to cooperate with most of them, in terms of allowing access to the Occupied Palestinian Territory. A number of States have argued that unless the Human Rights Council can secure the approval of the concerned State, it should avoid looking into situations in which governments are alleged to be massively violating their people's human rights. I am wholly unpersuaded by this argument, a position buttressed by the fact that States espousing it use it inconsistently. Country-specific mandates ensure an expert, impartial and intensive monitoring process that keeps information flowing to this Council and to the world. This Council’s clear and universal mandate to address human rights violations is not conditional on the approval of specific governments. The plural and sometimes overlapping voices of the Council, its mechanisms and my Office are frequently raised in support of each others' work. Where country-specific mandates are not forthcoming or when the Council is unable to express itself, for whatever reason, it is all the more important that the High Commissioner exercise his or her independent mandate to shine a spotlight on human rights violations. In Bahrain, I am concerned by harrassment and arrests of human rights defenders and political activists, and legislation which enables revocation of citizenship without due process. I urge greater attention to this situation. The past decade has demonstrated repeatedly and with punishing clarity exactly how disastrous the outcomes can be when a Government attempts to smash the voices of its people, instead of serving them.he authorities of Bahrain would be well advised to comply with the recommendations of the human rights mechanisms and UPR, and engage more productively with my Office, as well as with this Council's Special Procedures. The President of the Philippines's statements of scorn for international human rights law display a striking lack of understanding of our human rights institutions and the principles which keep societies safe. Fair and impartial rule of law is the foundation of public confidence and security. Empowering police forces to shoot to kill any individual whom they claim to suspect of drug crimes, with or without evidence, undermines justice. The people of the Philippines have a right to judicial institutions that are impartial, and operate under due process guarantees; and they have a right to a police force that serves justice. I strongly encourage the Philippines to extend an invitation to the Special Rapporteur on extrajudicial, summary or arbitrary executions. My Office is ready to assist, including with respect to rule of law institutions and the prevention and treatment of drug use in accordance with international norms. 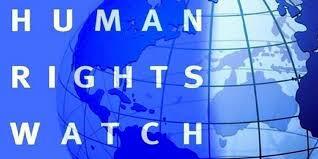 (Beirut, September 13, 2016) – An Iranian court has sentenced an Iranian-British dual national to five years in prison on national security charges, Human Rights Watch said today. 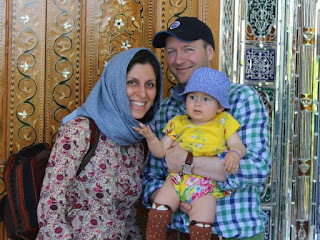 The family of Nazanin Zaghari-Ratcliffe told Human Rights Watch that Branch 15 of Tehran’s Revolutionary Court sentenced her on September 6, 2016. She is one of a half-dozen Iranian dual nationals who have been arrested and prosecuted on vaguely defined national security charges in the past two years. Ratcliffe works for the media development team at the Thomson Reuters Charity Foundation and lives with her husband and daughter in West Hampstead, United Kingdom. Iranian authorities arrested her on April 3, at the Tehran airport, when she arrived to visit family for the Iranian New Year, and detained her in Evin Prison. Authorities also confiscated her 22-month-old daughter Gabriella’s passport, effectively barring her from returning to the UK. Ratcliffe’s trial took place on August 14. She had access to a lawyer only three days before her trial, nearly three months after the Kerman Revolutionary Guard completed their interrogation. In the past two years, intelligence authorities, especially the Revolutionary Guard Corps intelligence unit, have arrested several dual nationals in Iran. 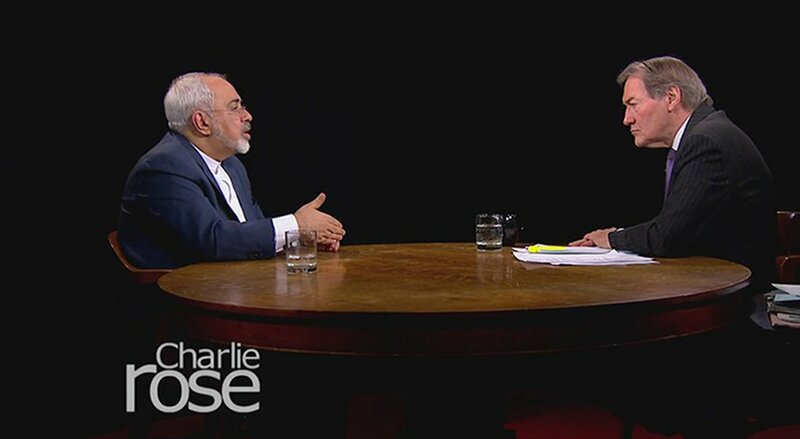 In October 2015, Iranian authorities convicted the Washington Post correspondent in Iran, Jason Rezaian, and sentenced him to a prison term that was not revealed even to him and his lawyer. He was released in January 2016 as part of a prisoner swap between Iran and the United States after spending 18 months in a section of Evin Prison controlled by the Revolutionary Guards. In the latest case, on July 11, Revolutionary Guard authorities in the city of Gorgan, in northern Iran, arrested and detained Robin Shahini, a dual Iranian-American citizen who had traveled to Iran to visit his family. On August 16, the International Campaign for Human Rights in Iran reported that Shahini was formally charged with “acting against national security,” “participating in protest gatherings in 2009,” “collaborating with Voice of America (VOA) television,” and “insulting ‘the sacred’ on Facebook,” but that his lawyer had not been allowed to see the evidence against him. On June 6, following three months of interrogations, authorities in Tehran arrested Homa Hoodfar, a professor of anthropology at Concordia University in Montreal, Canada. In early March, Revolutionary Guard intelligence agents raided Professor Hoodfar’s home shortly before she was to leave the country, confiscating personal belongings, including her passports, research documents, and computer. The Hoodfar family said in a press release that Branch 15 of the Revolutionary Court tried to dismiss the lawyer Hoodfar had chosen. On August 30, the family announced that Hoodfar had been hospitalized due to her rapidly declining health. On October 15, 2015, Iranian authorities arrested Siamak Namazi, a dual Iranian-American citizen and the head of strategic planning at the Dubai-based Crescent Petroleum, while he was visiting his family in Tehran. On February 22, authorities arrested his father, 80-year-old Bagher Namazi, a former UNICEF representative in several countries. Both remain in detention on unclear charges. In 2011, authorities arrested Kamal Foroughi, a British-Iranian businessman, and sentenced him to eight years in prison on charges of espionage and alcohol possession. His son Kamran Foroughi told Human Rights Watch that his 77-year-old father has just been diagnosed with cataracts and desperately needs an operation to avoid going blind. He was eligible for early release two years ago and has not seen his wife and family for more than five years. Hard-liner factions in Iran have repeatedly warned about what they believe is a project led by the West to “infiltrate” the country and its core values. In the past two years, authorities have arrested several Iranian dual nationals accusing them of facilitating the “infiltration project.” Authorities have also prosecuted several journalists, accusing them of being part of an “infiltration network” but have yet to offer any evidence supporting these allegations. A mother jailed on "secret charges" while on holiday in Iran is "distraught" after being sentenced for five years, her husband has told Sky News. 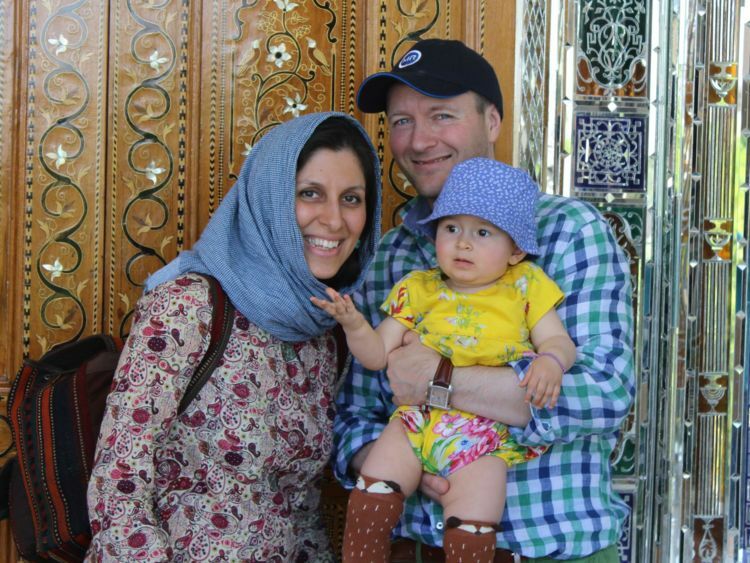 Nazanin Zaghari-Ratcliffe's husband, Richard Ratcliffe, branded the sentence "a punishment without a crime", and said she was struggling most with being separated from their two-year-old daughter Gabriella. The 37-year-old charity worker from Hampstead, north London, has already been detained for more than 150 days after being accused of plotting to overthrow the Iranian regime. A five-year sentence was handed down by the Revolutionary Court on Tuesday - the day after the UK and Iran resumed closer diplomatic ties. Mr Ratcliffe said his wife had begged him to do "whatever you can" to secure her release from Evin prison, and revealed that she had suffered hair and weight loss as a result of the ordeal. She was arrested at Imam Khomeini airport on 3 April as she attempted to return to the UK following a holiday with her daughter. The couple's phone call on Friday, when she told him of the jail term, was only their third conversation since her detention, Mr Ratcliffe said. He told Sky News his wife had spoken of her sadness at being separated from her daughter for over a fifth of her child's life, describing her treatment as "so hard and harsh". Gabriella turned two in June without her mother or father, and is being cared for by her grandparents in Tehran after having had her passport confiscated. Mrs Zaghari-Ratclfife had asked: "Why am I still here?" during their conversation, her husband said. Her husband said the timing of her sentencing was "no coincidence", suggesting that it was an attempt to prevent an improvement in relations between Iran and the UK. Mr Ratcliffe's in-laws had urged him not to make news of the sentencing public, out of a "great sincerity and fear" of making her situation worse, he said. Shadow foreign secretary Emily Thornberry has demanded that the government take more urgent action, saying her case "beggars belief". Mr Ratcliffe has said it can only help that the Government has put political pressure on the Iranian government. The Foreign Office said it was deeply concerned by the reports and that the case would be raised by Prime Minister Theresa May and Foreign Secretary Boris Johnson with their counterparts in Iran.